6On October 25, 2016, Kizlarkhon Dusmukhamedova - People’s Artist of Uzbekistan - celebrates her 70th Jubilee. This world-class dance artist has performed internationally, sharing the beauty of Uzbek women's dances with audiences all over the planet. We congratulate Kizlarkhon Dusmuhamedova on her 70th Jubilee and wish her Health, Happiness, and Prosperity. Her superlative artistry and generous spirit has shown the world the very best of Uzbek womanhood. Not only has she shared the beauty of her ancient culture but she has also made us all better people with her example of compassion, dedication, and loyalty. Kizlarkhon studied with the late Isakhar Akilov, the mentor of an entire generation of Uzbekistan's leading dance soloists. Akilov created Kizlarkhon's most famous solos, choregraphing memorable dances that revealed her nuanced expressiveness and delicate femininity. 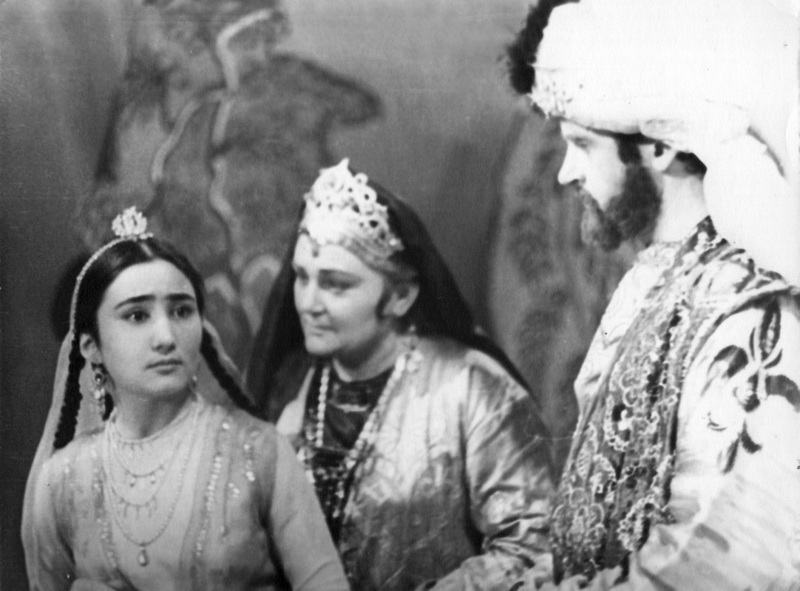 Kizlarkhon's deep expressivesness hearkened back to the past, classical essence of Uzbek dance. This quality won her a part in the Uzbek film "Shashmaqom" which told a timeless story without words. 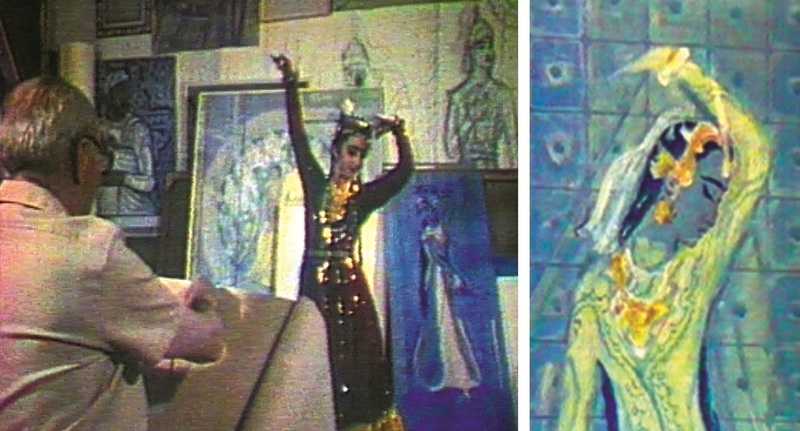 Uzbekistan's celebrated artist, Chingiz Akhmarov, felt that Kizlarkhon's dances embodied the grace of Uzbek women. He painted an entire series of portraits of her most famous dances. Some of these portraits can be seen in the Museum of Applied Arts in Tashkent, Uzbekistan. It was in 1979, on one of Kizakhon's international performance tours, that she visited Seattle, Washington. Seattle and Tashkent became sister-cities in 1973. In fact, they were the very first Soviet-American sister cities. Many fledgling cultural exchanges between the US and the USSR were first launched through this historic relationship. During this visit to Seattle, a doctorial candidate in Russian and Soviet History at the University of Washington, – Laurel Victoria Gray – volunteered to translate for the touring artists from Uzbekistan. (She had been to Uzbekistan as a teenager in 1973. ) That is when she first met the exceptional, superlative Uzbek dance artist, Kizlarkhon Dusmukhamedova, and began a lifelong exploration of Central Asian dance culture. 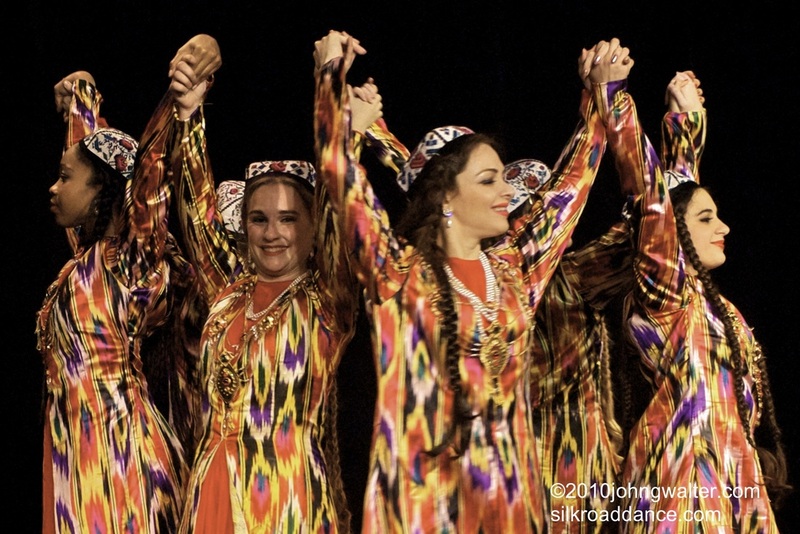 ​This historic meeting led to the introduction of authentic Uzbek dance to American dancers. Laurel became active in the Seattle-Tashkent Sister City Committee and participated in numerous cultural exchanges, including the 1984 delegation to Tashkent led by Seattle mayor Charles Royer. 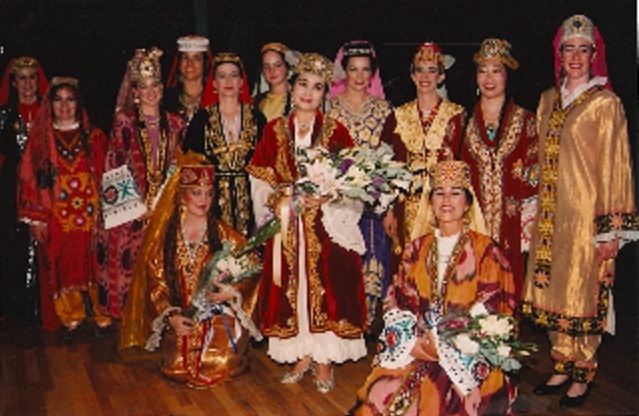 Thanks to the Seattle-Tashkent Sister City Committee, Kizlarkhon returned to Seattle in 1982 with an official delegation from Tashkent and worked with Laurel and her Seattle dance group. 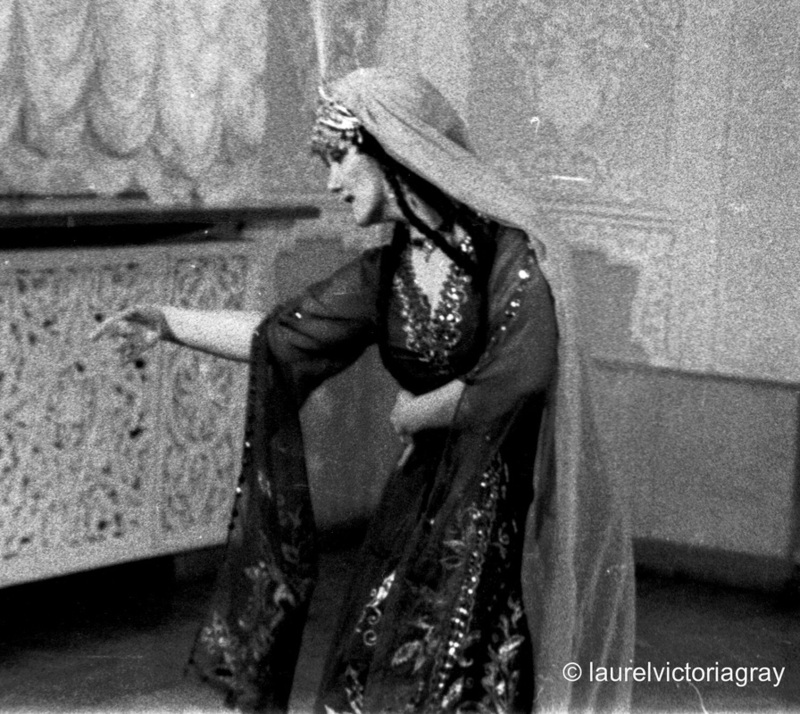 Through Kizlarkhon’s generous spirit, Laurel was the first American to seriously study and perform Uzbek dance. 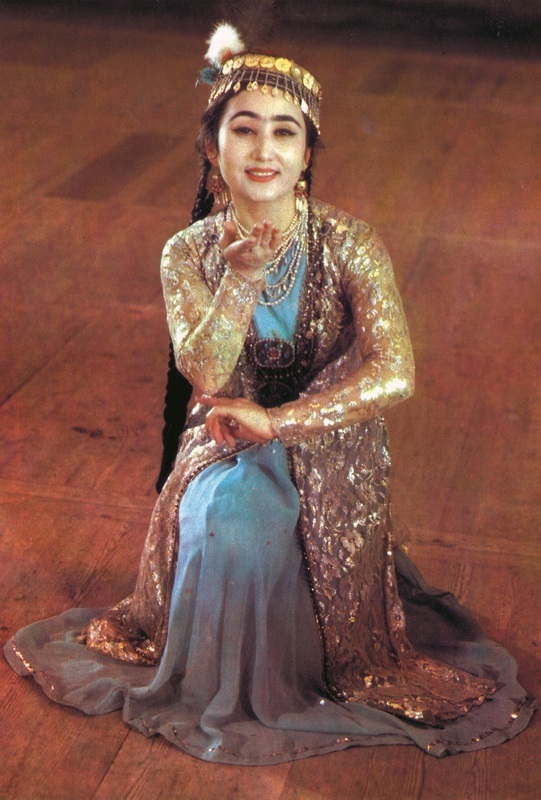 When cultural organizations in Uzbekistan learned of Laurel's sincere interest in Central Asian dance, as well as her dedicated work in cultural exchange, they extended special invitations to her. Special trips to study Uzbek dance were supported by the Vatan Society for Cultural Ties with Countrymen Living Abroad and Uzbekistan Union of Theatrical Workers. ​Laurel was by the Uzbekistan State Academic Bolshoi Theatre of Opera and Ballet named for Alisher Navoi to continue her dance studies; she lived there for two years in 1992 and 1993. 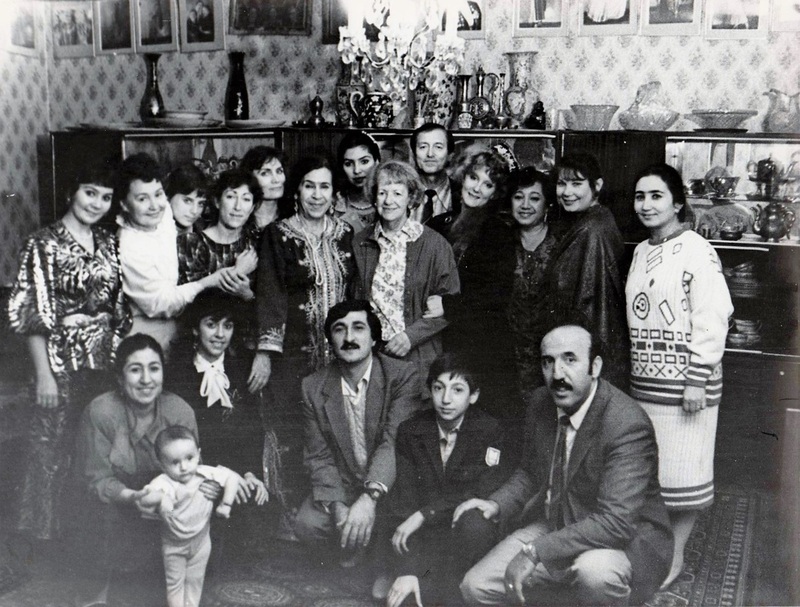 Kizlarkhon and some of the members of the 1989 Seattle-Soviet Theatre Arts Exchange in Tashkent with members of the Akilov family of artists. 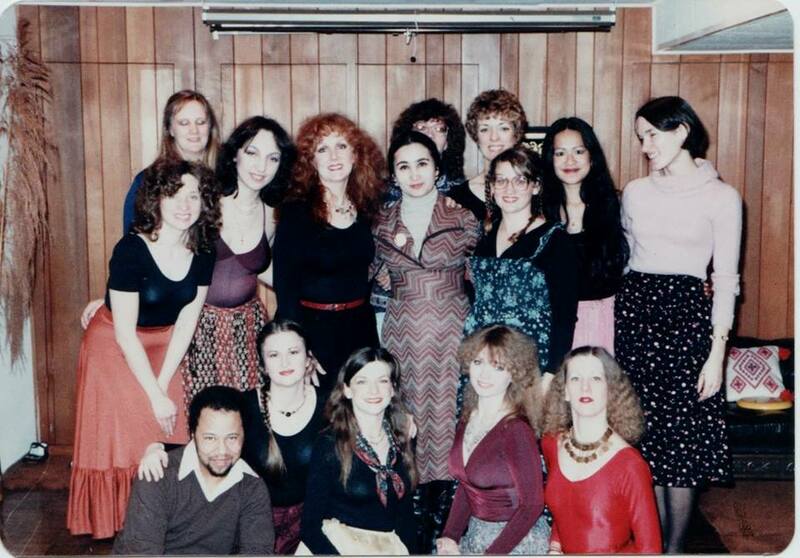 Dr. Selma Jeanne Cohen is in the center, next to Margarita Akilova, wife of Kizlarkhon's mentor, Isakhar Akilov. ​Over the years, Laurel continued to work on Soviet - American cultural exchange, inviting Kizlarkhon and other Uzbek artists to the US in 1989 and 1990. 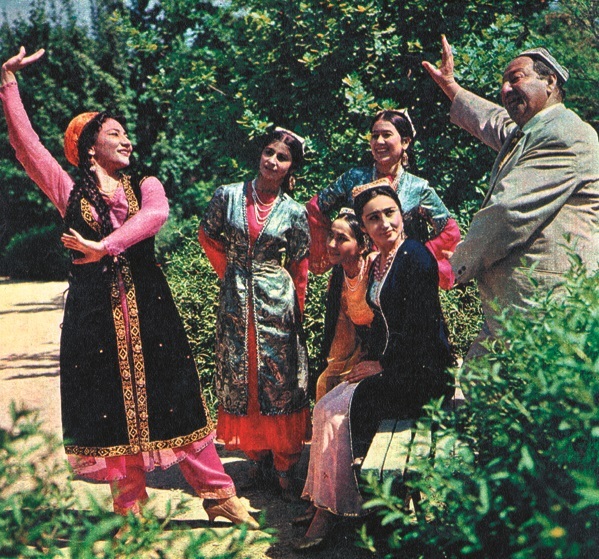 This non-currency cultural exchange blossomed into the historic Seattle Soviet Theatre Arts Exchange, in which 30 theatre artists traveled to Uzbekistan and had home stays in Tashkent while presenting several concerts throughout the city, including performances at the llkhom Theatre. One of the members of the delegation was Dr. Selma Jeanne Cohen, editor of the Oxford University Press International Encyclopedia of Dance. After returning from two years of studying dance in Uzbekistan, Laurel wanted to find a way to share her knowledge with American dancers. Together with a colleague, Travis Jarrell, Laurel founded the Central Asian Dance Camp in 1995. The first camp took place in Santa Fe, New Mexico. Laurel and Travis began by teaching the first classes themselves. 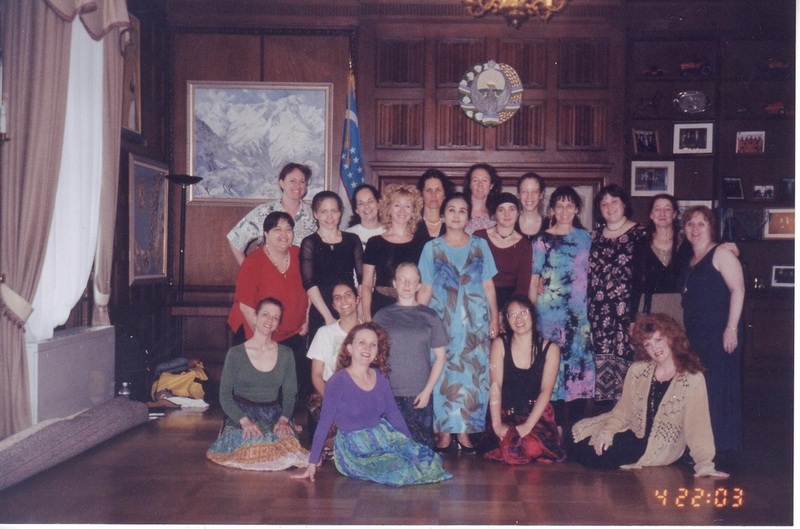 Then in 1998, Laurel began inviting Kizlarkhon to the US to share her knowledge directly with a new generation of American dancers. Although the Central Asian Dance Camp began in Santa Fe, New Mexico, it later moved to the East Coast. In 2000, it was held at the Embassy of Uzbekistan and culminated in a concert at the beautiful embassy in Washington, DC. 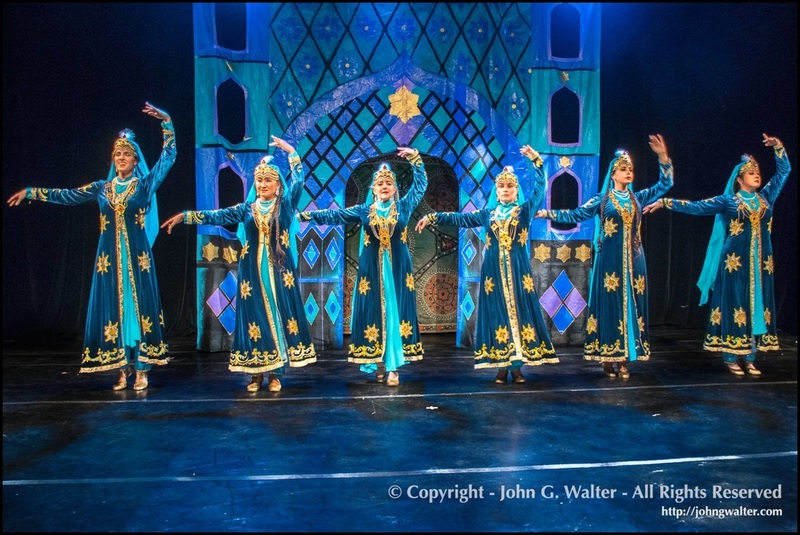 Washington DC audiences had a rare opportunity to view Uzbek dance traditions when Kizlarkhon brought her own Munojat ensemble of dancers and musicians to the Kennedy Center. Kizlarkhon has received many honors and awards for her artistic achievements form the government of Uzbekistan, including President Islam Karimov. Kizlarkhon's exquisite dances, have shown the world the modesty, dignity, and elegance of Uzbek women - both on and off the stage. She is truly a national treasure. In order to keep Kizlarkhon's precious legacy alive, Laurel has trained many dancers — both in the US and abroad –and, after moving to DC, created the Silk Road Dance Company in 1995. Kizlarkhon embodies a traditional dance style which is rarely seen today but it lives on in her students. She has gifted Silk Road Dance Company with many famous Uzbek dances for our repertoire — Guldasta, Dil Kroch, Kungil Taronasi, Samarkand Ushoqi, Tong Malikasi, Gozel, Katta Oyin, Keling Gular, Namanganning Olamsi and many more. Silk Road Dance Company brings these traditional dances to American audiences. In the spirit of cultural exchange, the Uzbek government and cultural organizations have reciprocated in appreciation of the efforts of these dancers in presenting Uzbek dance. 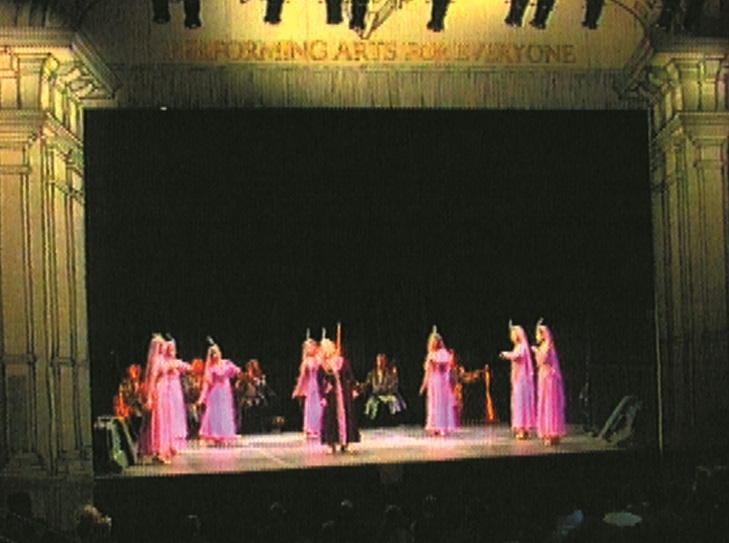 In 2005, Silk Road Dance Company was the first US dance company to be invited to perform at the Samarkand Sharq Taronalari Festival. Kizlarkhon has performed in the US sixteen times since her first visit in 1979. Silk Road Dance Company is honored that Kizlarkhon is our Central Asian Dance Consultant and that she has played such an active role in the development of our ensemble. ​Silk Road Dance Company is located in the Washington DC area. 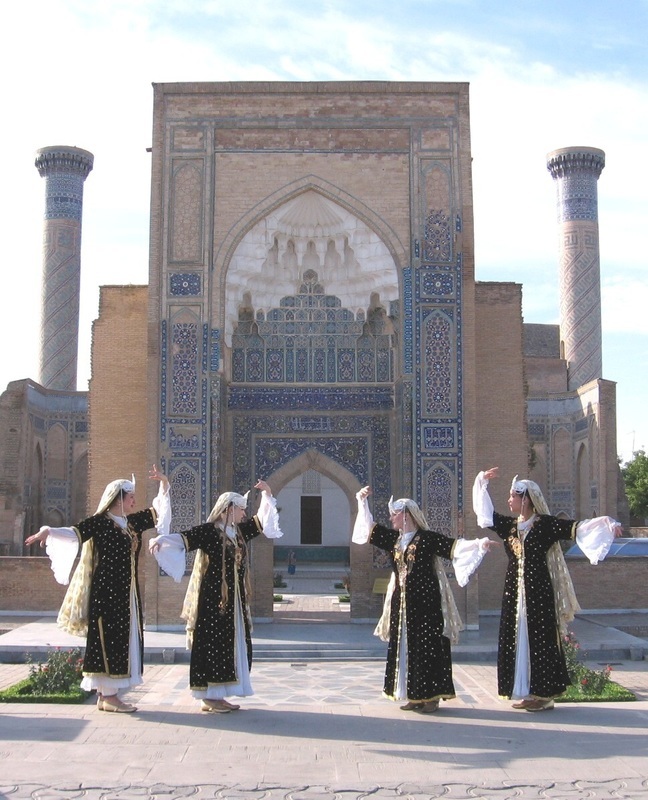 We have cultivated a genuine and successful cultural exchange with Uzbekistan as well as other Central Asian and Middle Eastern cultures.Road Dance Company has been instrumental in sharing Uzbek culture with Americans for many years, with performances throughout the Washington DC area, as well as 16 different states, and in London, Toronto, Doha, Singapore, Samarkand, and Tashkent. Silk Road Dance Company also presented programs at the White House and State Department and for 10 different embassies. In 2010, Ambassador Ilkhom Nematov and his wife attended Silk Road Dance Company’s 15th anniversary concert. On the 20th anniversary celebration of Uzbek independence in DC. ​Kizlarkhon has taught us all that the role of the Artist is to present a positive example to society, to inspire people with Beauty and Grace. ​We love you Kizlarkhon! You have influenced us more than you could ever know! ​and all of your students all over the world. ​Silk Road Dance Company is a 501(c)(3) non-profit tax-exempt arts organization. We are dedicated artists who deeply love and appreciate Uzbek traditional culture. We endeavor to honor this legacy in all of our performances.